Solomon, Saltsman & Jamieson, known in the daily fantasy sports and eSports world as SSJ Law, has weighed in on the upcoming decision, expected to come down as early as next week, from Judge Manuel Mendez regarding the legality of daily fantasy sports under New York law. The lawsuit follows the announcement from New York State Attorney General Eric Schneiderman that DraftKings and FanDuel are operating unlawfully in New York. Supporters of New York’s response have noted that these operations have made headlines in the last few weeks concerning the alleged use of insider information by an employee of one operator to win $350,000. It appears that Massachusetts’s approach is consistent with SSJ Law’s opinion. On November 19, 2015, Massachusetts announced its proposed regulations for the operation of daily fantasy sports, which include raising the minimum age of participants to 21, limiting the monthly maximum deposit to $1,000, and creating separate categories of contests for experienced and non-experienced players. Ultimately, the government’s role should be in ensuring its citizens can pursue their chosen forms of entertainment in a responsible manner and not making choices for the people. SSJ Law focuses in vice law and representing clients in the gaming, eSports gaming, alcohol, marijuana, and gambling fields. Having conducted over 1,600 administrative hearings, SSJ Law can help any business navigate through the maze of administrative regulation and government bureaucracy. 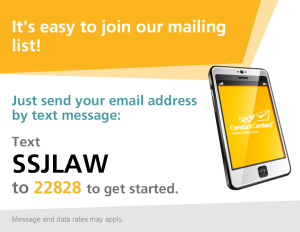 SSJ Law is actively seeking to help other businesses and can be contacted at[email protected] or [email protected] or call (800) 405-4222.